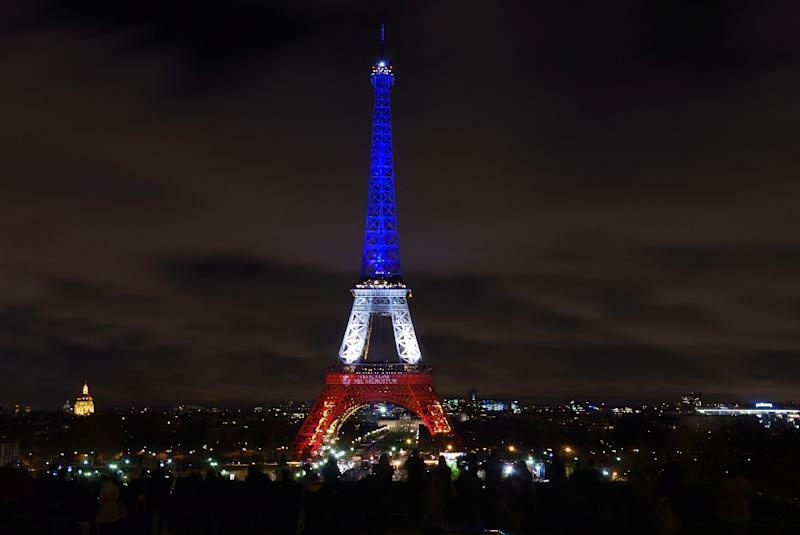 Paris (AFP) - Europe was on high alert Wednesday after video revealed a ninth man may have taken part in the Paris attacks, as France and Russia formed an unusual alliance against Islamic State jihadists who claimed the bloodshed. Police are hunting the newest suspect believed to be involved in carnage that killed at least 129 people, after footage showed a third man in a car used by gunmen who opened fire at bars and restaurants in central Paris. It is not clear if this ninth man is one of two suspected accomplices detained in Belgium or is on the run, potentially with 26-year-old fugitive Frenchman Salah Abdeslam who carried out one of the attacks at Bonne Biere cafe along with his suicide-bomber brother Brahim. 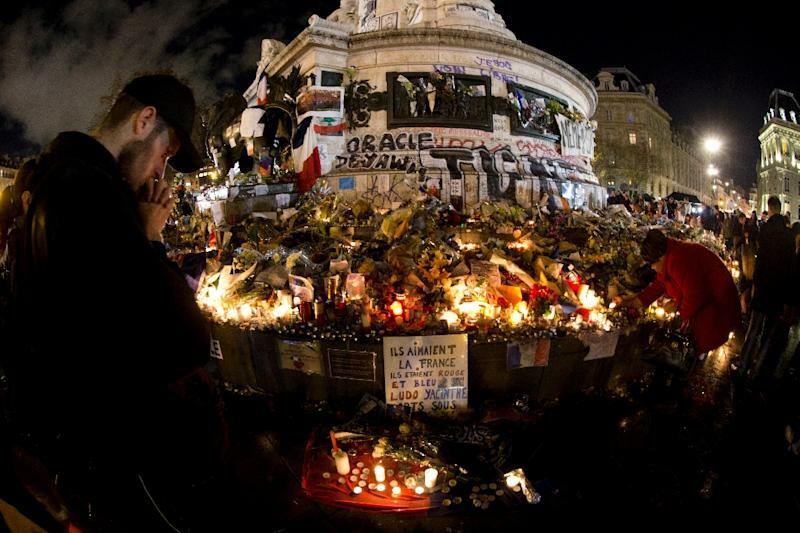 French President Francois Hollande on Wednesday will hold a meeting to discuss proposals to extend the state of emergency declared after the worst attacks in French history for three months. It will then be put to vote by lawmakers Thursday and Friday. In a sign of the nervousness gripping Europe after Friday's carnage, a football match between Germany and the Netherlands was cancelled Tuesday and the crowd evacuated after police acted on a "serious" bomb threat. The friendly match in the northern German city of Hanover had been intended as a "symbol of freedom" after the shooting spree and suicide bombings in Paris. "We received a serious indication that a bomb attack was planned inside the stadium tonight," Hanover police chief Volker Kluwe told German broadcaster ARD. 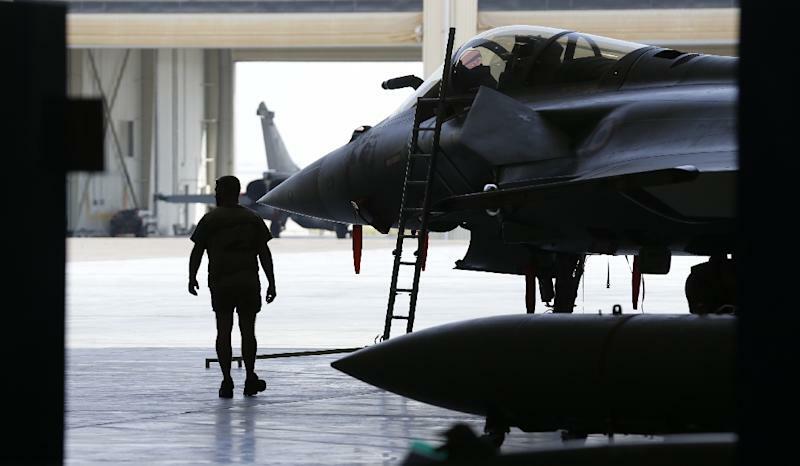 As police in both France and Belgium stepped up the hunt for the fugitives, French and Russian jets pounded IS targets in the group's Syrian stronghold of Raqa for a third consecutive day. France and Russia have vowed merciless retaliation for the Paris attacks and last month's bombing of a Russian airliner, also claimed by the Islamic State group, which have galvanised international resolve to destroy the jihadists and end Syria's more than four-year civil war. "It's necessary to establish direct contact with the French and work with them as allies," Russian President Vladimir Putin said as France prepared to send an aircraft carrier to the eastern Mediterranean. Hollande will meet Putin in Moscow on November 26, two days after seeing US President Barack Obama in Washington. In grieving France, police racked up arrests and seized weapons as they searched for clues after the wave of coordinated attacks by gunmen and suicide bombers on a stadium, bars and restaurants, and a concert venue that have shaken the country to its core. Police have issued the photograph of one of the three men who blew themselves up outside the Stade de France, who investigators have established entered Europe through Greece, as hundreds of thousands of refugees have done this year. He was found with a Syrian passport near his body, but investigators have not confirmed that he was the man in the document and are appealing for anyone who recognises him to come forward. Satirical magazine Charlie Hebdo, which lost 12 staff in an attack by jihadist gunmen in January, unveiled a tribute cover for the Paris victims showing a dancing reveller with bottle and glass in hand, and champagne pouring out of bullet holes in his body. "They have weapons," the caption reads, adding: "Screw them, we have champagne." In the southwestern city of Toulouse, which was targeted in a 2012 attack by a heavily armed jihadist, about 10,000 people gathered for a candlelit vigil. Meanwhile in Wembley Stadium in London, fans joined together for an emotional rendition of the French national anthem "La Marseillaise" before a football match between France and England. has invoked a previously unused European Union article to ask member states for help in its mission to fight back against the Islamic State organisation, which received unanimous backing from Brussels. But France also appears to be forging an unexpected alliance with Russia, which it has clashed with over the conflicts in Ukraine and Syria, after both countries were targeted by the jihadists in deadly attacks. On Tuesday, Russia finally confirmed that the Russian passenger jet that crashed in Egypt's Sinai Peninsula last month, killing 224 people, had been brought down by a bomb, though it did not name any responsible group. The Kremlin said Putin and Hollande had "agreed to assure closer contact and coordination between the military and security service agencies of the two countries in actions against terrorist groups... in Syria". The alliance comes as international players meet to discuss ways of ending the Syrian war which has spurred the rise of the Islamic State group, forced millions into exile and triggered Europe's worst migrant crisis since World War II. On a solidarity visit to Paris, US Secretary of State John Kerry said a "big transition" in Syria was probably only weeks away after Iran, Russia and Saudi Arabia reached agreement at the weekend on a path towards elections. Still, regime and opposition representatives have yet to sit down together and there is little agreement on the role of Assad in any transition, a key sticking point in the talks. Back in the United States, more than half of all state governors on Tuesday took steps to force the White House to freeze programmes to resettle Syrian and Iraqi refugees, citing concerns about attacks. "We cannot let terrorists take advantage of our compassion," House Speaker Paul Ryan told reporters. "It's better to be safe than to be sorry."